So… you have just visited your parents over the summer and realize that something is just not quite right? They are living in their own home and want to stay there, but you notice that they are not functioning as well as they used to. The house is messy, bills are piling up and they appear a bit disheveled. You are questioning whether it is time to obtain home care services in order to keep them safe and independent in their own home for as long as possible……BUT where do you begin??? This is a dilemma, many of us experience as our loved ones age. They may become frail, suffer memory loss, become ill or have mobility issues. Home health care services are available to help individuals remain independent and safe in their own home, while maintaining their dignity and well-being. 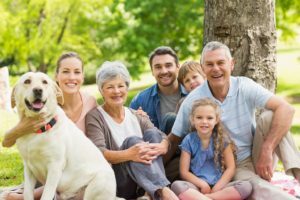 Having a reputable agency that can provide qualified individuals to go into your loved ones’ home and assist with personal care and activities of daily living will provide you and them with security and much needed peace of mind. If you notice any of the following 15 situations when visiting your loved ones, NOW may be a good time to begin your search for home care. As seen in the list above, everyday tasks like bathing, dressing, grooming, meal prep, medications, errands and housekeeping can be overwhelming when you do not have the physical or cognitive ability to get them done. Hiring the right professional caregiver will not only provide your loved one with their home care needs, but it will also decrease stress and anxiety for you knowing that they are being supported and well cared for while maintaining their dignity and self-esteem. Call us today to see how we can help you. Always On Call Health Services, Inc. could be the answer you are looking for.